Lilandra has just posted about the packing frenzy we’re currently experiencing. I know, I’m not actually there in Trinidad, amid the suitcases, but I did take my suitcase over last weekend. And I went shopping for toiletries, clothing and shoes for the month long journey, in unfamiliar climate, lots of walking and insha Allah, many more blessings. 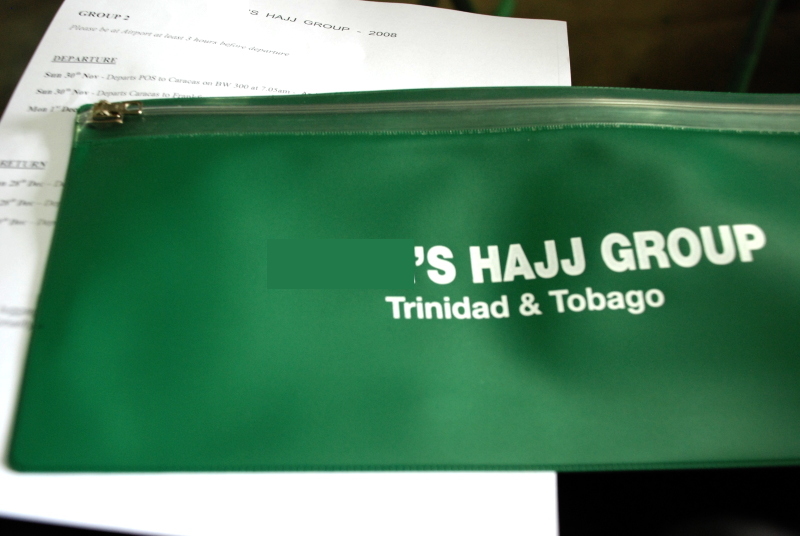 I was actually supposed to post a month ago, almost exactly, as we went to a major Hajj meeting on October 12, where alhamdulillah I was actually in Trinidad. 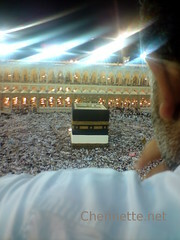 I was able to collect my Hajj travel pouch, get my itinerary, take my visa photo etc. I won’t come right out and say the Hajj pouch was the most exciting thing, but it was pretty cool 🙂 We’re like that. As you can see, we leave on the 30th of November. That’s not that far away! Apart from the packing, and strategising about washing clothes, and schedules and ensuring we do our best to get to keep in the peak of health, we also have some mental preparation. We’ve had some family Skype Hajj sessions – going through the steps of the Hajj, reviewing the arabic for the talbiyah, the du’a, the quranic ayaat that we will have to recite during the Hajj. I also managed a session en famille in person. LIlandra and Mom enlarged the pocket Hajj guide and home laminated it (with that plastic sticky covering used for books) punched holes and tied it together with yarn. So we have waterproof, easy-to-read and carry, Hajj guides, complete with all the steps and the things to recite. If Lilandra ever posts the complete list of things we’re taking people might think we’re hypochondriacs. But, it’s 4 of us, each with our own idiosyncrasies and allergies (or intolerances). Plus the parents have done this before, have a fair idea of the things they’ll need, and taking into consideration the fact that they’re older. 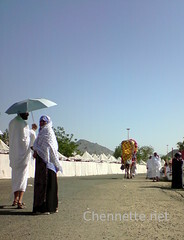 Also, we’ve traveled a lot in our life, and know our particular needs when undertaking long travel – for example, my sinus allergies after hours in planes, not to mention unfamiliar desert air and dust…better be safe and sorry, as we would like very much insha Allah that this is the best Hajj we can do.